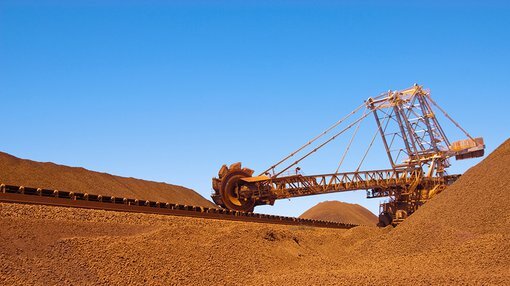 ASX-listed iron ore mining company, NSL Consolidated (ASX: NSL) today updated the market regarding its sales arrangement with Minera Steel and Power for the supply of its 60/61% Fe filter cake wet plant product. In July, the company announced its expanded customer base, having received an initial purchase order from Indian steel industry’s Minera, for 5000 tonnes; an amount representative of a typical industry order from India. In the same month, NSL advised that dispatch of product direct to Minera has begun. The agreement between Minera and the company involves a recurring cycle of regular advance payments from Minera coinciding with ongoing dispatch of NSL’s products. This necessitates that Minera reconfigure its plant to use NSL’s product, which demonstrates the long-term intention behind the agreement between the two companies. NSL Managing Director, Mr Cedric Goode recently met with Minera’s Managing Director and owner to discuss the business relationship. Goode was advised that since the commencement of the supply of wet plant product, Minera has utilised ~2,000 tonnes into their steel plant process with good results. Reports indicate that NSL’s filter cake produces a ‘high quality pellet with excellent pelletising characteristics’, which can be fed further into the steel process. Minera has stated a standing order of 15,000 tonnes per month of the premium 60/61 Fe product to keep up with its operational requirements, currently between 70,000-80,000 tonnes of iron ore per month. Last month, NSL updated the market with progress of its Phase 2 Wet Beneficiation Plant, announcing it had expanded its customer base and indicated it had sales agreements, such as Minera, locked in. The company has an existing active distribution base within India through agreements with Infinity Ores, having already delivered ~10,000 tonnes of feed. Prior to the wet plant developments above, NSL had recently made another positive announcement regarding a new 20,000 tonne purchase order from Infinity Ores for high quality ore. The sales price was $67 ex-gate, due to a strong local domestic iron ore market. In response to that news, NSL’s share price surged 17 per cent on the morning of the announcement. At the same time, the company indicated that a third shift had been introduced at the plant effectively making it a 24-hour operation; a further promising sign that the company is progressing toward its goal to ramp up to the 200,000 tonne per annum capacity.